The Kodak ESP 5250 All-in-One Wireless Printer, Scanner, is an inexpensive Photo Printer, that promises cheap ink replacements. I picked one up at Staples for about $100. The reason I decided to try this new printer is that my Canon Pixma iP6220D, which came free with my Camera, was out of one cartridge of ink out of two total cartridges, and refused to print. When I went to buy new ink, it was going to cost me about $70 for both cartridges and I don’t do that much photo printing to begin with. I decided this was a total waste of money, so I’m donating my Pixma to Salvation Army. The Other problem I had with the Pixma, is that I had an impossible time trying to get good, quality, reliable, photo prints out of the dang thing. No settings would work each time, and sometimes I could never get a good result. It was frustrating and expletive deleted. 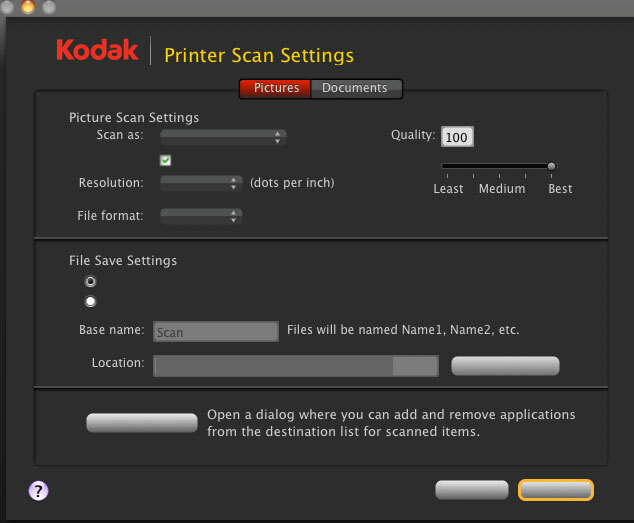 The Kodak produces the best photo prints I’ve ever had from my Mac, bar none. After initial calibration and updating to the latest software, the prints have been outstanding, well saturated, worthy, and pleasant. With almost no tweaking, I get great borderless prints on Kodak paper and Canon glossy photo paper. Also, I can now move this printer/scanner across the room because it connects wirelessly to my computer. That is a relief, because my photo printer is not my main printer and I don’t need it all the time. I’ve not had to buy ink yet, but I’ve used about 1/2 a cartridge for 40 prints. That may be high, but before initial calibration, I had to run a bunch of test prints that turned out very poorly. Live chat tech support got me through it with little problems except for their poor English. The buttons don’t make sense and you have to guess at what you are doing. The software is definitely not ready for prime time. Nice review for Kodak printer. There are some ink retailers out there that sell generic ink that are high quality at a very affordable price. I am always cautious about third party inks. I’ve had some very bad results when I used some for Epsons… smears, incorrect colors, etc.